It’s finally autumn here, so I’ve been busting out the cold weather fashions. Last August, when it was still millions of degrees outside, I ordered two of Betty Le Bonbon’s fabulous winter-weight midi length skirts. I’ve been eagerly waiting for the day I could wear them, and that day is finally here! Collectif Faye Floral Doll dress. 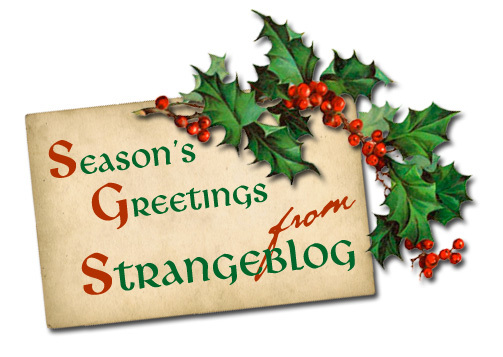 I promised pretty vintage inspired holiday party dresses, and now you’ll get them! 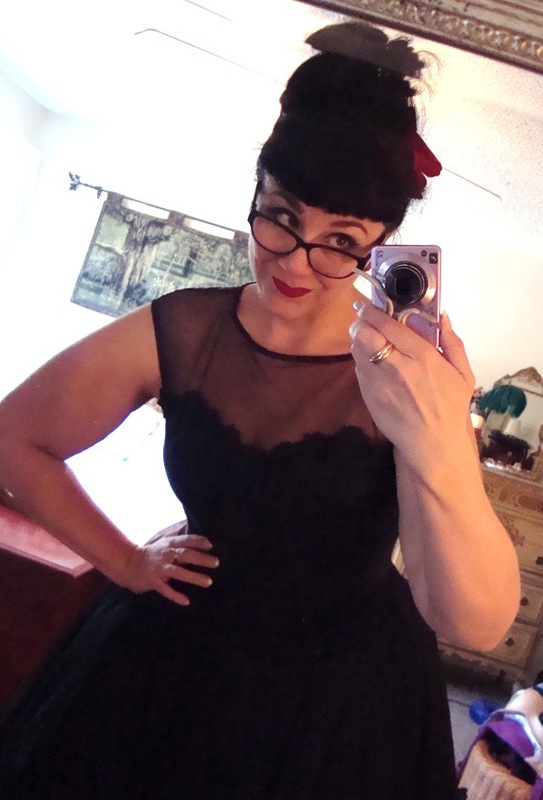 I recently purchased the beautiful Faye Floral Doll dress from Collectif on a nice sale. It’s a gorgeous black, full-skirted 1950s style with a built-in petticoat. The entire dress has an overlay made of a beautiful sheer mesh fabric, including the illusion-style sweetheart bodice. There are hand-cut, hand-applied lace flowers scattered on the skirt overlay. The same appliques line the bodice’s sweetheart edge. 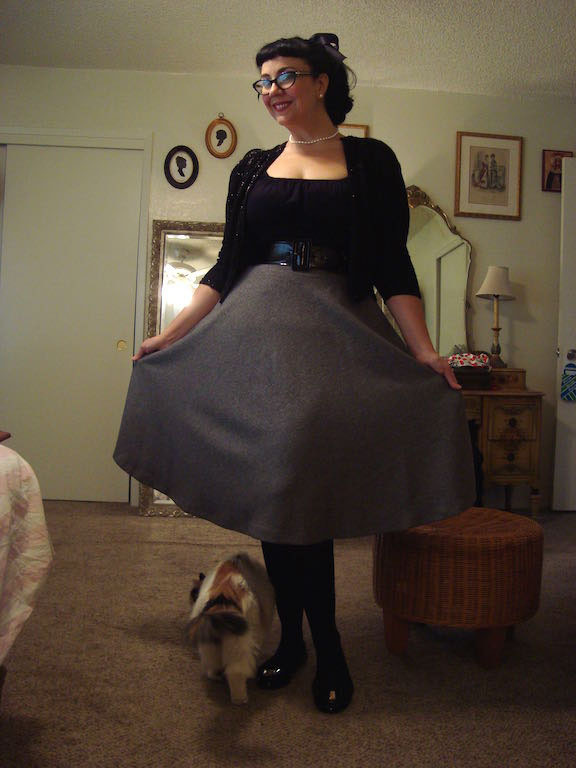 With Collectif employee Julia’s kind assistance, I selected the size 14 (I’m 42-32/33-48″) and have no regrets! I’m at this really transitional point, bodywise. I’ve been too small for most dedicated plus lines for years, and yet, I’m only just now finding awesome designer vintage that really fits me ( at 42-32-48″). 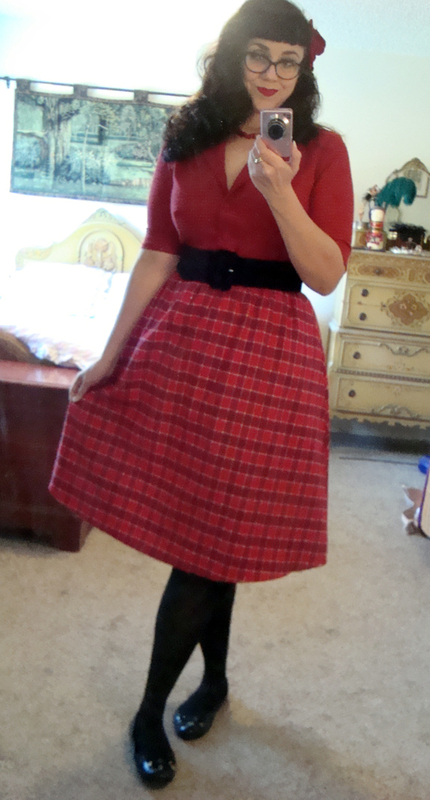 Luckily, I managed to find two beautiful late ’50s/early ’60s designer pieces that fit me perfectly! 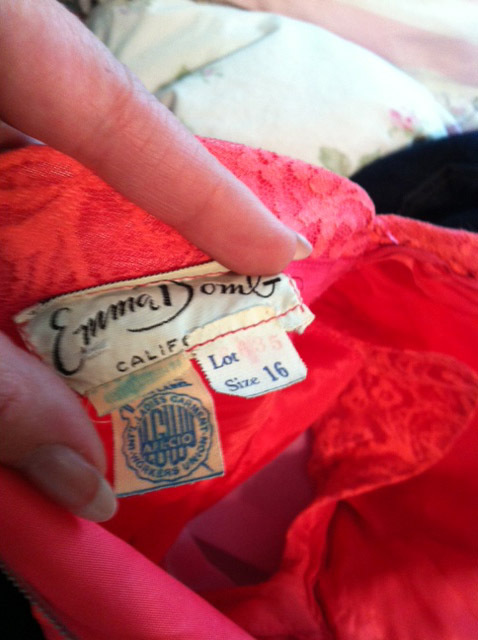 First is a gorgeous coral lace Emma Domb gown, vintage size 16. It’s floor-length with a crossover bodice. 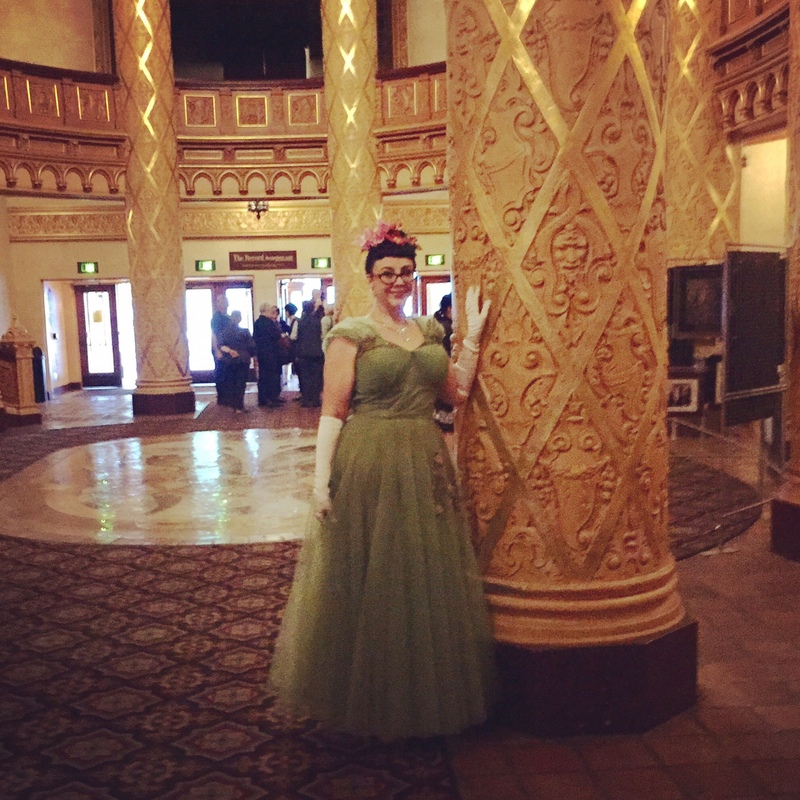 Most people are familiar with Emma Domb’s famous mid century prom dresses and elegant evening wear, but I was a little surprised to learn that the Domb label came out of San Francisco, which essentially makes this dress local to me!